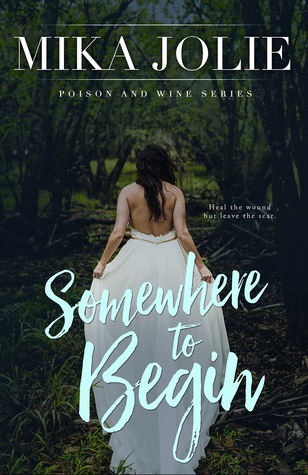 Somewhere to Begin by Mika Jolie is the first book in Poison & Wine series and also the first by the author that I have read. A heartfelt story of two people facing their own demons and trying to live through their darkness, this book held my attention throughout. I instantly fell in love with the protagonists as well as the varied bunch of secondary characters. Colbie was in an abusive relationship but she is determined to start anew. Zander lost his parts of his soul and body in the battlefield and is now just a shell of the confident, happy man that he used to be. Both are trying to survive their harsh past and this is their story. Mika's writing style is expressive, fluid and she had me engrossed and invested in her narration. I enjoyed how she portrayed people and events in the book, making them all seem so real. I felt like I was watching them live and felt a connection to their lives. The plot is well conceived and executed and forced me to finish this book in one sitting. The romance as well as the traumatic past and hard present is brought out beautifully and developed skillfully by the author. 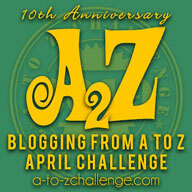 She manages to entertain as well as forces us to think through her writing. After reading and loving this book, I am eager to read the subsequent books in this series as well as the other books by Mika Jolie and recommend this author to you all. All in all, Somewhere to Begin by Mika Jolie is an entertaining book that will keep you hooked and then leave you wanting more. 4.5 out of 5 to it and recommended to all adult lovers of romance. I received an ARC from the author and the tour organizers and I am very thankful to them. The above is my honest and unbiased review which is in no way influenced.